Bronze has two properties that the typical case materials of stainless steel and gold do not: it looks unique and the material forms an unmistakable patina within a short time. 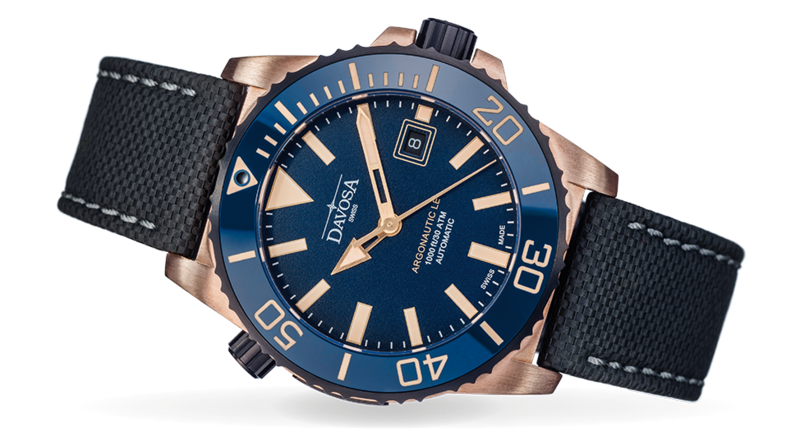 The Argonautic Bronze comes in a limited edition of only 300 timepieces. Once again, DAVOSA displays its expertise in making a watch with intricate mechanical features. While a helium valve, the use of high-tech ceramics and a sophisticated automatic movement ensure high levels of safety and precision when diving.